Hoverboard were the go-to gift in 2015. They were exactly the thing to get for the person who had everything. And many hours of fun have ensued on hoverboards on this continent and others. By the same token, some serious problems have become quite well publicized, resulting in the recall of over half a million of these dangerous toys. Lithium ion batteries are significantly smaller, lighter, and longer lasting than their lithium iron phosphate counterparts. Manufacturers love the power offered by the newer, lightweight batteries. Nonetheless, the US Consumer Product Safety Commission reports 60 hover board fires in this country in the past year. And these were no small flare-ups. Bedrooms, and, in some cases, entire homes, have been utterly destroyed by the highly volatile battery packs. The liquid within lithium ion battery packs is extremely flammable. So when a short circuit occurs, the battery can explode. How does a short circuit occur? Defective batteries may have minute metal particles inside that have the potential to puncture the separator between the positive and negative sides of the battery, releasing the liquid electrolyte. That liquid could rapidly heat up, resulting in open flames. Hoverboard owners and witnesses of the incidents cite a variety of circumstances under which these fires break out. While some explosions have occurred during charging, others occurred while riding, and at least one exploded while sitting at rest. Only use the charging cord that comes with the product. You’d think that this is exceptional advice, except that hover boards typically do not accept other types of chargers, so the tip is moot. Don’t over-charge your hoverboard: But how do you know how much of a charge is an over charge? Unlike modern phones and computers, these devices do not automatically turn off the flow of electricity when they’re done charging—and consumers have no way of knowing how much of a charge exists at a given moment. 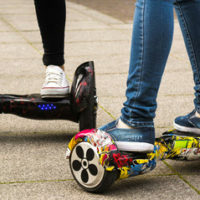 Because hoverboards are so new, they really do not have the safety standards that so many other lithium battery products have. Experts simply do not know which standards are applicable to the new toys at this point. While retailers can demand that batteries and chargers are certified as safe, that’s about all they can do for the moment. While individual components may be certified, the interaction of the entire product as a whole is not, because they have not been tested all together. And reputable testers do not necessarily get their hands on these products. If you have suffered due to a hoverboard explosion, the experienced personal injury law team at The Law Offices of Robert W. Elton can help you with the aftermath. Contact us today in Daytona & Ormond Beach for a free, confidential consultation.